Usmanu Danfodiyo University, Sokoto (UDUS), also known as Udusok and formerly University of Sokoto is one of the initial twelve federal government owned universities in Nigeria founded in 1975. It is a research university located in the city of Sokoto, Northwest Nigeria. 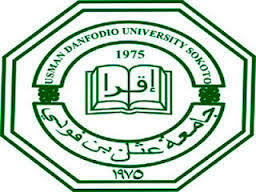 The university is named after Usman dan Fodio, the founder of the Sokoto Caliphate.